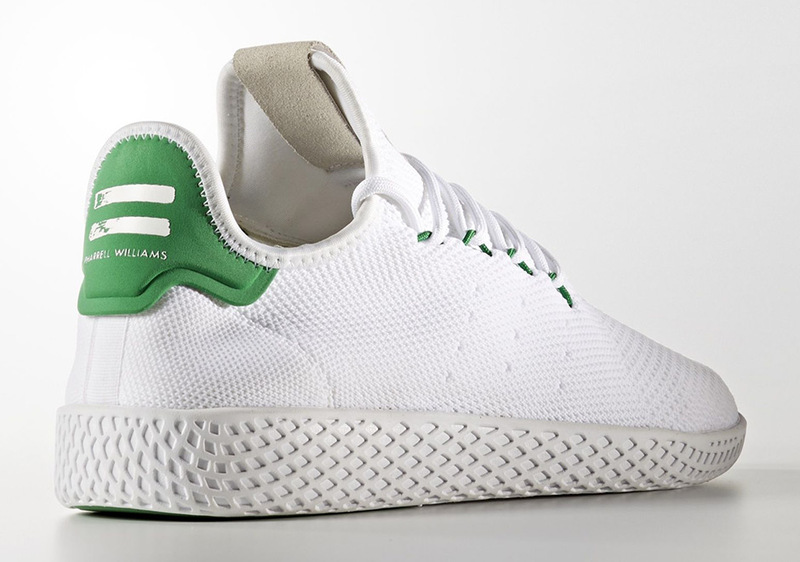 It looks like the Pharrell adidas Tennis Hu will also release stateside this Saturday, May 6th in 2 debut colorways referencing some of the three stripe’s most storied early tennis offerings. 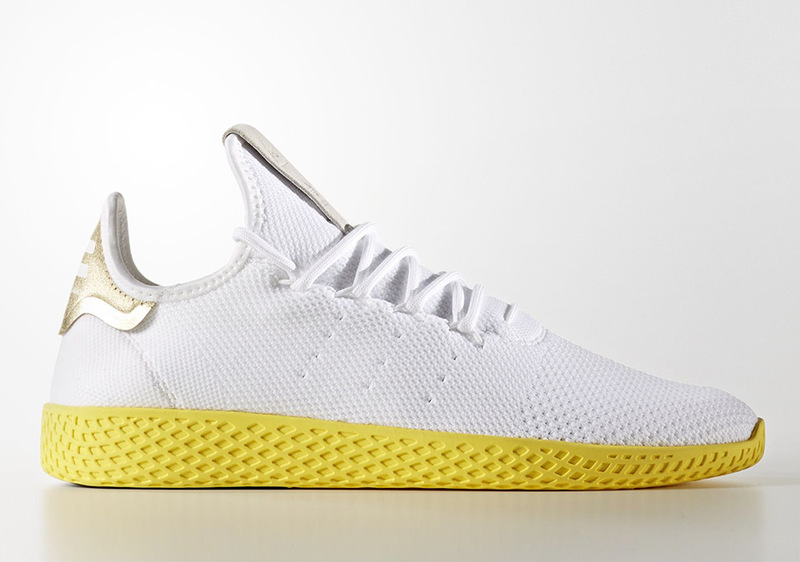 Pharrell made major strides with adidas Originals last summer by debuting the adidas NMD Human Race Collection, and this Summer 2017 he will take his eclectic and unmistakable eye for design further with what adidas is calling his first ever signature silhouette in the adidas Tennis Hu. 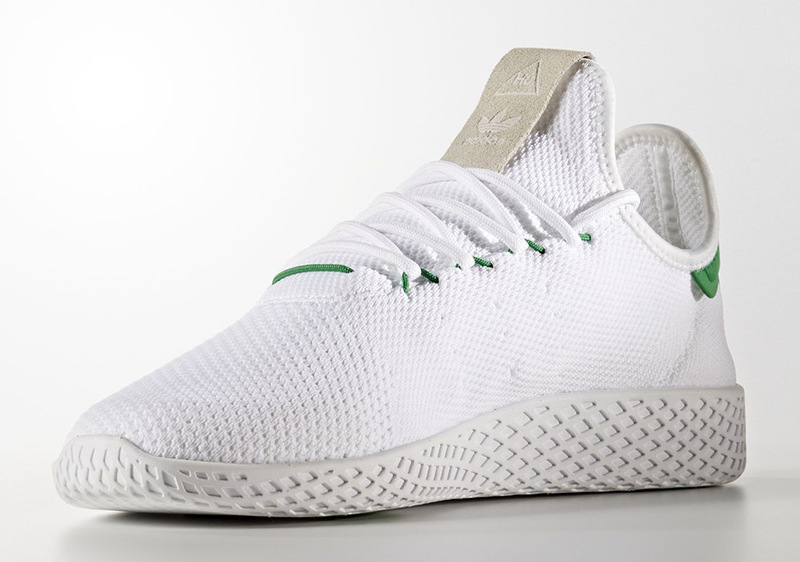 The Tennis Hu takes major design cues based on the adidas Stan Smith tennis model, but with a more breathable execution thanks to the technological advances found through the woven Primeknit material. 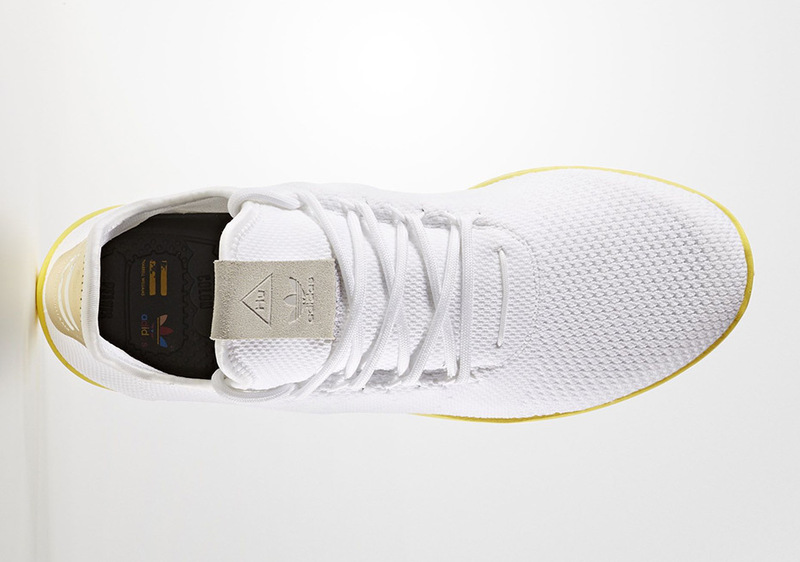 The ever-flexible textile stretches with the foot and leaves plenty of ventilation possibilities perfect for the heat this summer season. 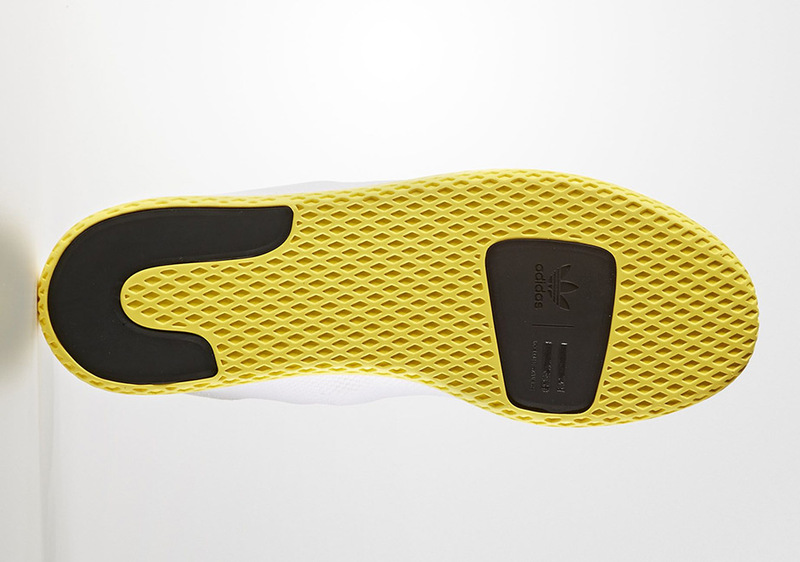 An EVA midsole might skip out on Boost, but does get creative through a waffle structure. 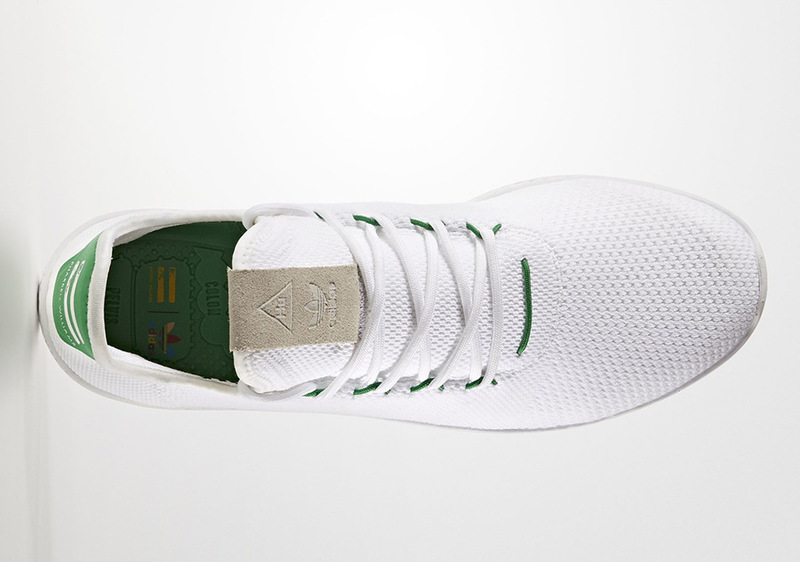 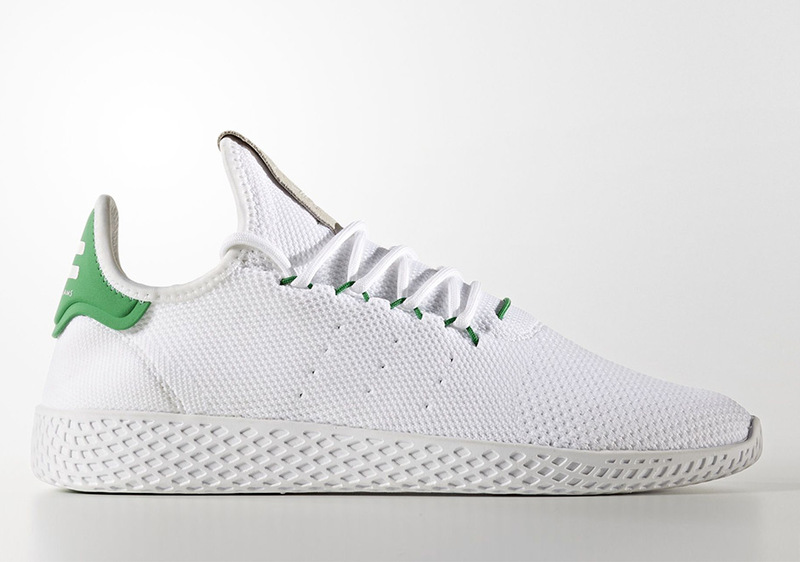 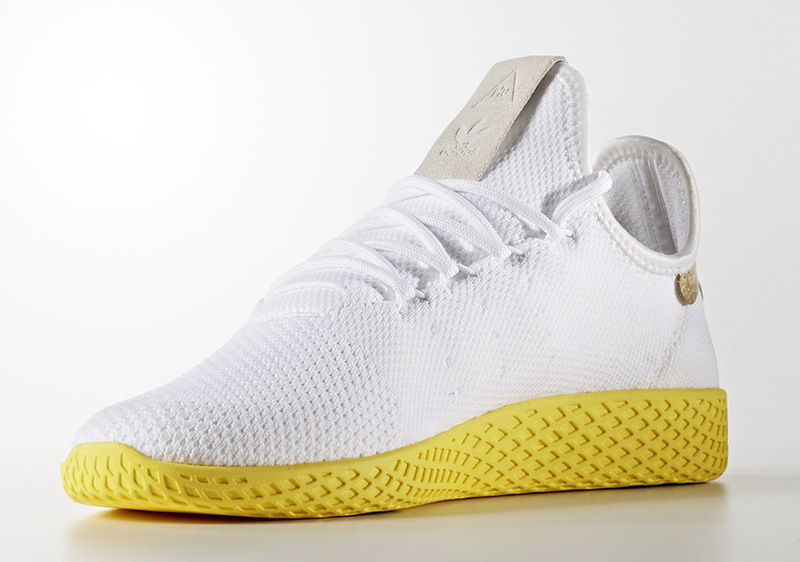 The debut White/Green colorway will immediately remind you of the Stan Smith but has a global twist based on the idea that Pharrell ‘plays for the human race’ both in the music and fashion worlds. 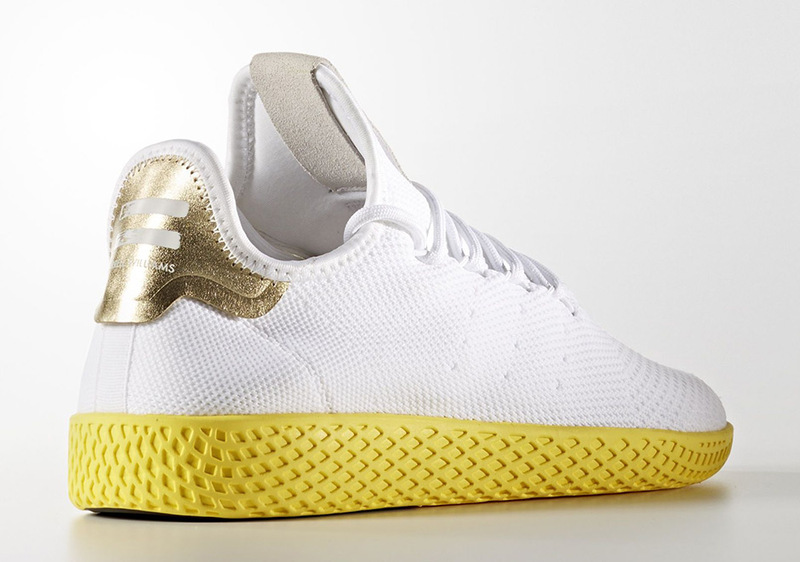 What do you think of Pharrell’s latest footwear release? 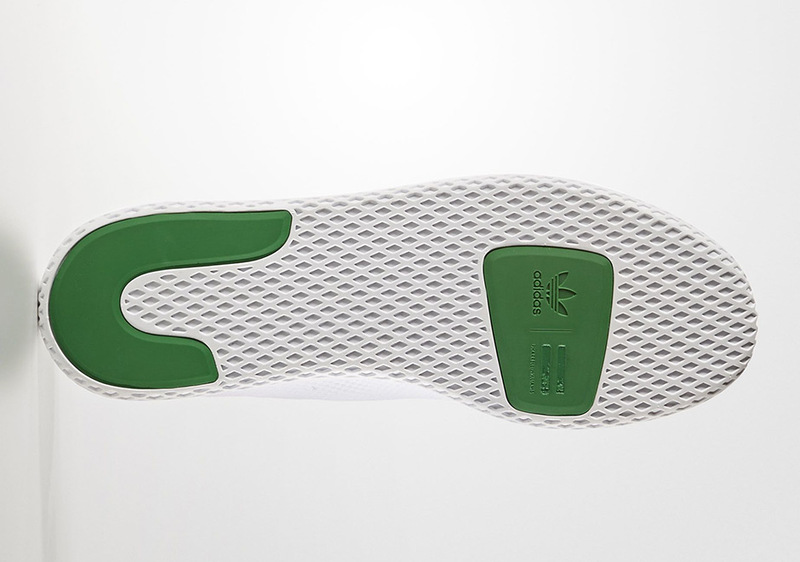 Check out more detailed shots below and grab your pair on Saturday, May 6th for $130 from select retailers and on adidas.com.